New role: Lavizzo-Mourey will return to the University of Pennsylvania as a professor in the Penn Integrates Knowledge program, which recruits scholars of various disciplines. Lavizzo-Mourey will be the Robert Wood Johnson Foundation population health and health equity professor. She will also be part of the university's department of medical ethics and health policy as well as the departments of healthcare management and family and community health. She will begin her role Jan. 1, 2018. 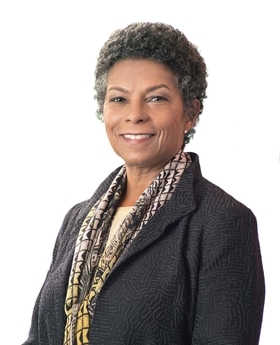 Background: Lavizzo-Mourey joins Penn after serving as CEO of the Robert Wood Johnson Foundation for nearly 14 years. Lavizzo-Mourey was the first woman and African-American to lead the organization, which is dedicated to healthcare issues. During her tenure, Lavizzo-Mourey launched efforts to curb childhood obesity and expanded programs that helped individuals gain access to health insurance. Returning to Penn: Before joining the RWJF, Lavizzo-Mourey was the Sylvan Eisman professor of medicine and director of the Institute on Aging at the university. She began her career at Penn in 1986 and has served in various other roles, including associate dean for health services research and chief of the division of geriatric medicine.